One year after the implementation of the new medical insurance, cardholders are still encountering annoyance. Residents who registered for insurance cards at the local administration were told to have certificates of agreement from hospitals, said Dr. Ton That Quynh Trung from the general medical clinic Phuoc An on Su Van Hanh street in district 10. Dr. Trung said the hospital has seen an increase of insurance card patients since July 1, 2009 when the new medical insurance regulation was launched. Of 1,800 patients recently admitted to the hospital, over 900 were cardholders. To draw patients, the hospital has improved service quality, administrative formality and employed modern techniques in treatment, Dr. Trung said. He also pointed out some difficulties patients still face. For instance, seriously ill patients were required to show hospital transfer paper if they want to enjoy health insurance. The hospital got confused when foreigners with insurance cards registered for examinations and treatment as no available regulation exists for such patients. According to the Ho Chi Minh City Insurance Company, it has signed contracts with 59 state-owned hospitals, 77 private clinics and infirmaries. Of 4,228,468 cardholders, many of them have registered for examinations at private clinics; therefore, the government should create favorable conditions for them. On the other hand, patients with insurance cards found it hard to access free treatment in public hospitals due to an overloaded system that has not assimilated insurance cardholders smoothly, despite the city’s Department of Health(DoH)’s determination enforce the new regulation. For instance, cardholders directed protests to the managers of a hospital because staffs served them poorly, alleging discrimination. Dr. Phan Van Nghiem from the DoH said administrative reform and improved quality of service are needed as the number of insurance cardholders is expected to skyrocket up to 26 million in 2010. He proposed that the insurance company to work out special policies for chronic, serious and kidney patients and support total treatment expenditures for the advantaged patients. 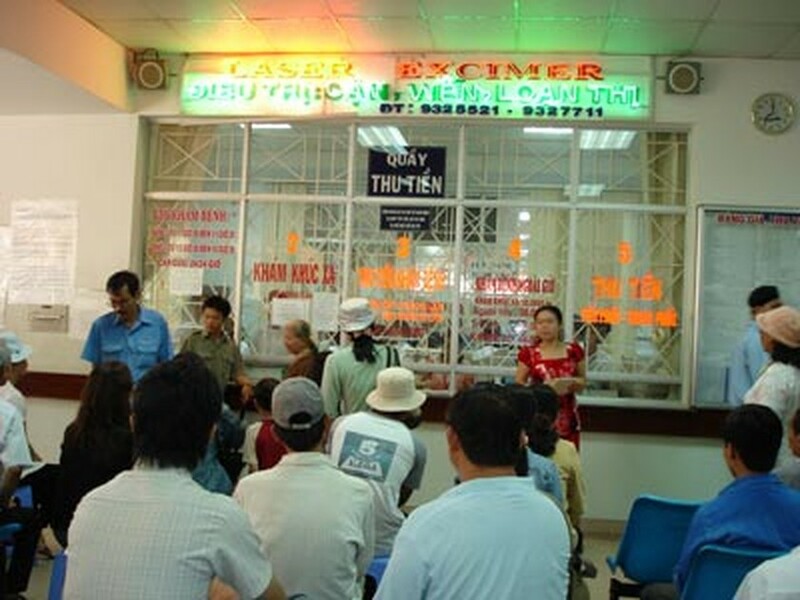 Meanwhile, Bui Minh Dong, deputy chief of the city’s Insurance Company, said although there has been an increase in patients registering for insurance cards, some hospitals have not used computers to manage illness records and facilities in district infirmaries cannot meet the increasing demand. The scene of insurance holders standing in line to register to see doctors will continue to take place daily if the authorities do not address the program’s shortcomings.